Looking for Chauffeur Service Edinburgh? When you have visitors arriving in Edinburgh and want them to be picked up and looked after properly. The last thing you want is for the driver to turn up late. This is why Chauffeur Service Scotland, established a unique buffer system, that ensures the driver is waiting when your guest arrives, even if disaster strikes. Unpredictable traffic in Edinburgh, like any major city, is something we all come to expect. So a journey from the airport to the city, that should take 15 minutes, can easily take up to 30 minutes. However, rather than offer any excuses we will provide a first class service to ensure that you are always collected on time. We will meet and greet your visitor with a name board at the arrivals gate, deal with their luggage and provide a professional service whilst they can relax and continue their journey into Edinburgh city centre. 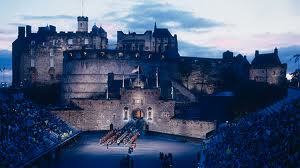 We provide a professional Edinburgh chauffeur service for customers travelling throughout Edinburgh. We offer a full range of services from travel between meetings, conference venues and airports as well as being able to accommodate multi-itinerary locations throughout your day. We pride ourselves on the fact that your client can sit back and relax and we will plan an efficient journey to their destination. We are able to accommodate any special requests you have and have a discretionary policy in place for all clients. Our chauffeur cars in Edinburgh are maintained to a high standard as well as being professionally driven by a courteous, knowledgeable driver. We are able to provide cars in Edinburgh for all occasions whether it is a meet and greet, a business journey or an all day hire of our vehicle. From the moment you book our service you will be impressed by the service you receive. We will send you an email confirmation with your drivers’ details and contact details. We will check all details you provide to ensure the timings are realistic and we don’t let you down. If you have booked an airport collection we will observe all flight arrivals and update you if your clients’ flight is delayed which allows you to reschedule subsequent meetings. We are able to adapt to all situations and are readily able to meet your transportation needs, which is another reason to use chauffeur service Edinburgh. You may also enjoy reading about Chauffeur Service Glasgow or about all of our chauffeur services here. This has been an article about chauffeur service Edinburgh.